Shabbat Shalom and thank you for inviting us to give the drasha this morning and to be part of Ohr Chadash. I don’t think that we’ve ever given a dvar torah together and it was actually really hard so we might not ever try this again. Every couple has the same three arguments over and over again. So, we has those arguments when discussing this, mostly over our different styles and really it was a good learning experience. We thought that it would be a meaningful thing to do on Shabbat Bereshit as we begin again the story and the work of the tikkun of Adam and Chava. This is an important time of year for us as partners. Although we were friends for three and half years before hand, we went on our first official date two days before Sukkot. It was a tikkun for us as a couple as we began building a different kind of relationship and looking at how we could be partners. It was during this week that we spent some time looking through my sfarim for something to learn together, believing that the path toward partnership is helped by Torah study. On my shelf was a fairly new book called Kabbalistic Writings on the Nature of Masculine and Feminine by Sarah Schneider. It is a translation and explication of various existing texts and commentaries. I actually hadn’t read it yet and still have only read part of it but Avi was excited to learn it. This became the first text that we started to learn together in my sukkah in Jerusalem. Through the gemorah, G-d seems to be accepting fault and responsibility for bringing a disparity of feminine and masculine energies into the world before Adam and Chava were even created! -Part of the lesson I take from this text is G-d modeling for us the power and importance of acknowledging our own snap judgements and the importance of working towards tikkun in ourselves and in the world. The liturgical aspect of this tikkun can be found in the Kiddush Lavana service. 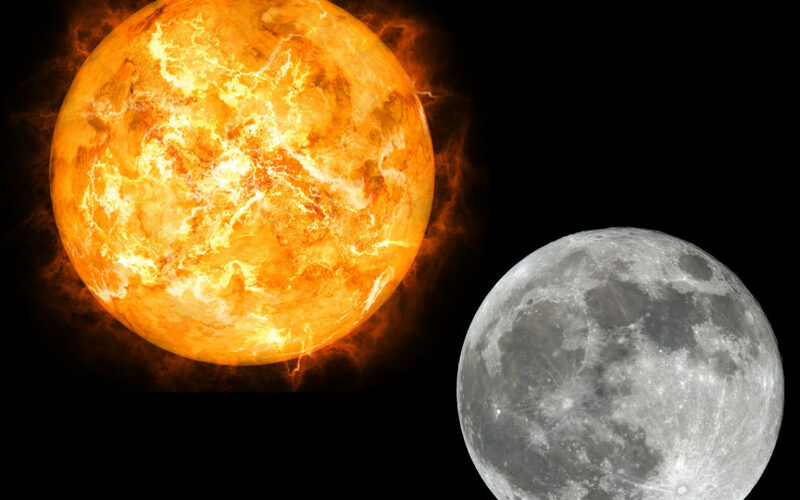 Each month we pray that the spiritual light of the moon will once again be equal to the spiritual light of the sun. This is part of our social, spiritual and halachic work in this world. We all have aspects of feminine and masculine within us, just as we all have aspects of teacher and student. We can often switch roles numerous times in our various relationships as they evolve. Torah learning can be a transformative and enlivening experience. There is an idea that when we were given the Torah at Sinai we became immortal and then after the Sin of the Golden Calf Hashem brought us back to mortal status. If being close to Torah and transgressing can have such dramatic consequences think what a little chavruta learning can do. Text study is the most straightforward way to learn Torah, however our relationship with Hashem, in all the ways that it manifests, is also Torah. The Torah is not something that we possess, it is something that we are in relationship with. Hashem continues to ask us “ayeka”, Where are you? and we continue to seek to be closer through our relationships, our community, tefillah, text learning and gemilut chasadim. When we learn with a partner whether it’s our spouse, friend, student, teacher, or child we are presented with further opportunities to ask ayeka. Where are we, where is the person that we are learning with, where is our relationship? Another way of manifesting this tikkun can be through the conscious de-compartmentalization of our Torah learning and Tefillah. Rebbe Nachaman of Breslov stressed how each of these forms of relationship to Hashem can strengthen the other. In order to be transformed by the Torah we learn, we must strive to bring its lessons into our tefillot; and when we learn Torah, we should be open to the idea that we want to be transformed by what we learn. When we set out on our partnership we planned to learn a little bit together every week after our one of our Rav’s in Israel recommended that as a practice toward a healthy marriage. While we have learned sporadically over the last ten years it has been no where close to once a week and we have only completed one small sefer together. Still we believe that learning together is important and in itself can be a tikkun. Entering this new year we aspire to more learning between ourselves, our children and in our wider community. May we all be blessed in this new year and new cycle of reading and learning the Torah, to manifest a balance in ourselves and in our wider community and to trust that two sovereigns can share one crown. Thank you very much and Shabbat Shalom!